FBI behavioral psychologist Daniel Clark is a man on a mission. After over a year of tracking a mysterious serial killer known as Eve, he feels closer than ever to discovering the murderer's true identity when he finds Eve's latest victim still alive. In an effort to save the girl, Daniel narrowly escapes becoming another casualty on Eve's list. Despite seeing the killer with his own eyes, a gunshot wound to the head leaves him with amnesia, unable to remember any details from the incident. His drive to find the killer takes on a whole new meaning when Eve takes yet another victim, one Daniel knows all too well-his estranged wife Heather. Determined to bring her back alive, Daniel takes his obsession to a dangerous new level, even recreating his own near-death experience in attempt to recall anything from his encounter with Eve. Soon enough he finds himself fighting for Heather's life, and, in the end, his own. 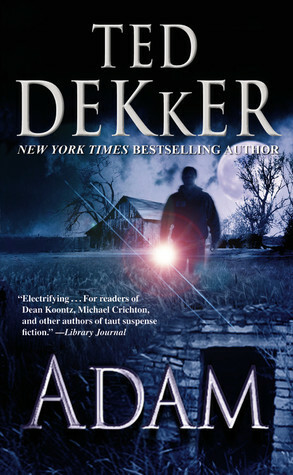 It's been a while since I've read something by Dekker, and I've forgotten how much I enjoy his suspenseful thrillers! The book opens with an article in a crime magazine about the child abduction of Alex Price and his sister, Jessica. It is the first of a nine-part series about the man who would become a serial killer. The remaining parts of the article are interspersed throughout the book. Daniel Clark is a FBI agent who is obsessed with finding Alex Price (aka Eve), so much so that it cost him his marriage. When Eve targets Daniel's ex-wife, it becomes personal and Daniel won't let anything stop him from finding Eve...not even his own death! This dark story was fast-paced, and I enjoyed the supernatural elements and religious aspects. Dekker has a way of creating such intensity, and I was swept up in the terrifying tale of good versus evil. 4 stars!! It was really good, and you should put it on your TBR list if you enjoy thrillers.